Are you increasing your commission on a particular line of products in hopes to boost sales? A quick method to communicate this boost in commission is to have your sales clerks wear promotional buttons on their work uniforms. 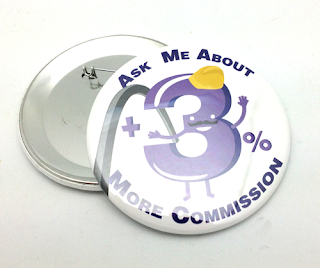 Boost your sales with custom pinback buttons from Half Price Buttons.